What is the Andalusian cadence? The Andalusian cadence is the name of a chord progression that was made popular in flamenco music. This progression is made up of four chords that descend stepwise (from the vi to the V to the IV and finally the III chords. This progression can be traced back to the Renaissance period, and the beauty of the exotic sound created by this chord sequence it one of the most popular progressions in classical music and popular music. Before we examine this Andalusian cadence further we need to discuss a few terms to make the explanation easier to understand. Notes can be arranged in a specific sequence called a scale. Different sequences create different types (or qualities) of scales. To keep it simple we’ll look at the C major scale. The C major scale is the usual starting point of any music theory discussion because this scale sequence does not use any accidentals (sharps or flats). If you’re sitting at a piano (a piano app is fine) then simply find C. The piano keyboard is arranged in a series of white keys and black keys. The black keys are in groups of two and three. Directly to the left of the group of two black keys is the C note. Play that note and move from left to right one white key at a time until you reach the next C. This produces the familiar sound of the major scale and, in this case, the C major scale. G is the 5 note, etc. Chords are three or more notes played at the same time. You can create a chord by stacking every other note in the scale; for example, C–E–G create a C chord. We’re building the chord on the C so we begin on C, then skip the D, add the E, skip the F, and add the G to get C–E–G. These three notes are played together to form the C chord. You can use this system for each note (or degree) in the scale. But, in order to determine when we are speaking about the chord and not the note we need to use Roman numerals. The I–IV–V chords are major that’s why they’re uppercase. The ii–iii–vi chords are minor and that’s why they’re lowercase. The vii° is diminished which is why it’s lowercase with the degree symbol. How does the Andalusian cadence work? The Andalusian cadence is referred to as the vi–V–IV–III progression because it naturally occurs in the vi, V, and IV chords of a major scale. The iii chord is minor and, with a simple adjustment, the iii chord can be made major and then represented with the uppercase Roman numeral III. However, many contemporary musicians don’t think of it in those terms. They will think of the first chord as the one chord as in the table below. Notice how it changes the functions of the subsequent chords. A Minor: i, bVII, bVI, V.
Author’s note: A formal discussion regarding the aspects of music theory is beyond the scope of this article; however, certain terms are mentioned and explained for the purpose of this article. In this case, the A is the one chord and it’s minor. This will create a chord progression that is diatonic (means that it belongs to the key or naturally occurs in that key) to the A natural minor scale with the exception of the E chord. Again, an alteration is used to turn the naturally occurring E minor chord into an E major chord. This alteration changes the scale from A natural minor to A Harmonic minor throughout the duration of the E major chord. These songs are listed alphabetically by song title and used here simply to illustrate the variety of situations that the Andalusian progression can appear in pop music. The best way to understand songwriting is by analyzing other songs—as in the list above. For example, “Hit the Road, Jack” is the same Andalusian cadence over and over, whereas, “Stray Cat Strut” uses the progression in the verse and, for the chorus, uses the same progression in a different key. Pick one of your favorite songs. It’s usually best to start with something that you’re already familiar with. A favorite song usually offers you something that you already know by heart. It’s also something that holds no surprises and you’ll be enthusiastic about learning more. Identify the song structure: intro, verse, chorus, etc. The Beatles were masters of this. They played cover versions of songs that they liked at the very beginning of their career. Then, they wrote songs based on what they knew—variations of songs they covered. Analyze their songwriting and notice how it developed from album to album. Determine the chord progressions that are in each part of the song. Songs are made up of patterns, these patterns are chord progressions that repeat. Sometimes with a twist or slight alteration, but there will always be a pattern. The verse may begin on the I chord and the chorus may begin on the V chord or vice versa. In the early stages you may find this difficult and time consuming. But, after a while you’ll become quite proficient at it. So much so, that you will develop your ears and musicianship to the point that you can determine song structures and chord progressions by simply listening to a song. Today, we are going to talk about one of the most popular, yet classic chord progression, the 50s progression! The formula is I-vi-ii-V. While this progression was popular during the fifties, you’ll find popular songs using this progression from many decades. This progression first caught fire in the 1950s, as it is associated with doo-wop. However, one of the first recognized uses of the progression was in Richard Rodgers’ Blue Moon in 1933! This progression is become known as “catchy”. Many songs that get stuck in your head might have this pattern. So, what makes this progression work? Well, it is an extension of the I IV V sequence. This evolved progression (I-vi-ii-V) lends itself to a voice led arrangement. This progression will result in shared notes, making it an easy progression to create melodies with. You can probably tell that there are many shared notes between those four chords, which makes the song easy to listen to. The “G” chord is the one that differs the most from the ones before it, adding a bit of a “twist” element to the progression. Now you know all about the 50 progression! Take your new knowledge to use on Songtive for iOS/Android/Web. Thanks for reading! For analysis purposes the most convenient way to get into it is to get the structure first. The introduction will give you the essential information you need: the key, the main theme(s) and the character. Verses present the main vocal ideas, and usually are repeated with only a variation in the lyrics, conserving the underlying chord progression to keep the balance and symmetry. Chord-melody relationship will provide you information on why things sound appealing to our ears, and is via chord tones and melody’s notes that this relation is established. These bullet points will be our guidelines for what’s coming next! From 4:18 a new verse starts, maintaining the same vocal and harmonic ideas we have heard at this point. So how can the same ideas sound fresh if they are being repeated all over? Thanks to the addition of new elements into the texture: the drum set entrance will give interest by the moving sensation its rhythm has. The verses idea gets to 5:33 to a point where all the material we heard before reach to a climax and culminating point: a repeated Dsus2, D major, Dsus4, C major progression serves as a transition point to one of the most memorable rock solos ever heard! The solo section starts at 5:56 with a chord progression that will be repeated to the end of the song: A minor – G major – F major. We will extend on this point because of the relevance it has, even when we discussed it in a previous article. The first interesting to observe is the function of an instrumental solo: it is used as a way of reinforcing the character and the mood of a composition with melodic ideas, as a transitional moment. This one is based on successive little musical ideas (motives, from now on) that will fit the underlying chord progression. From 5:56 to 6:15 we hear three motives based on the minor pentatonic scale of A minor (use our scale tool to see the notes! ), listen how the pitch is getting higher as it continues! From 6:15 to 6:24 we hear the climax of the whole song with a high C note being the peak and a descending scale run that acts as a conclusive tool. A – A – A – C – B – A – G – A (And as we wind on down the road, our shadows taller than our souls, etc.) being drawn over the A minor – G major – F major chord progression. And a final guitar solo at 7:26 will come to maintain the original climatic character of the song! A ritardando (which is an Italian musical expression for ‘slowing down`) at 7:41 will tell us that the song is coming to an end, and the final solo vocal line at 7:46 gives the conclusion to an epic song. We reviewed many musical elements in this part! I hope you enjoyed the trip as much as we did! Remember that everything you learn is to be applied to your own music, and here in Songtive we give you the tools you’ll be needing to get those sounds into the real world! In the next article we will get through Bohemian Rhapsody, Queen’s masterpiece! See you next time! 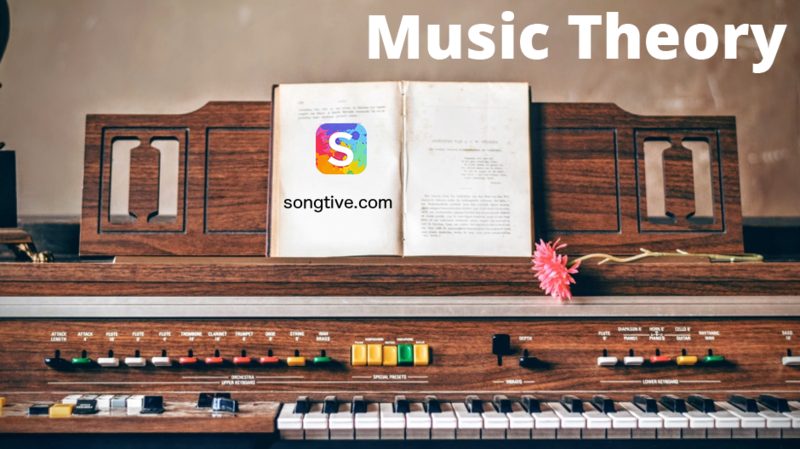 Songtive is a songwriting tool, band and social network. 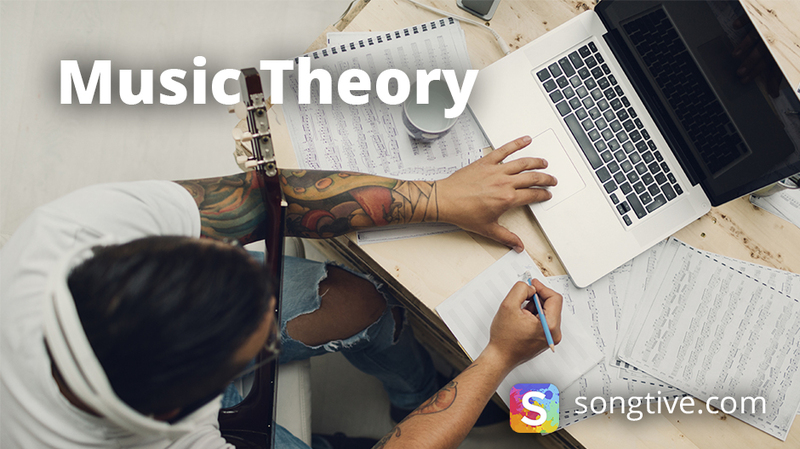 Songtive helps to experiment with arrangements and chord progressions which is available for iOS. © 2014-2019 Songtive. Powered by WordPress.